It’s not a big brother measure . . .
You know what they say about the salesperson who has to constantly remind you that he isn’t lying to you, right? That’s how it feels after nearly every school board meeting so far this school year. At the beginning of the year on August 6th, Wardynski was telling us how they only had “4.5 teaching openings.” As was painfully obvious at the time, this wasn’t true. At the next board meeting on August 19th, Wardynski recommended and the board approved the hiring of 31 teachers. On September 3rd, they hired 21 teachers. On September 23rd, they hired 11 teachers. On October 1st, they hired 5 teachers, and on October 15th, they hired 4 more teachers. So, rather than having 4.5 teaching openings left to fill on August 6, that have since then actually hired 72 teachers or 16 times as many teachers as Wardynski claimed he had left to hire. The “we’re being honest” claims continued at the last board work session at the beginning of the month. Become involved in their children’s education at school and in their community. All of which is fine, except it has no basis in reality as each of the three points she raises are entirely dependent upon having time and resources to be able to do those three points. And the amount of time and resources that a family has is entirely dependent on family income. If she had bothered to even do a google search, she would have found countless studies that demonstrate that there is a correlation between family income and student achievement. But then, expecting our district employees to offer research based presentations, or that the board of education would expect such, is just asking too much. And so, when Mr. Taylor, the CFSO, began his presentation concerning Gifts to Schools Thursday night, I was understandably skeptical. 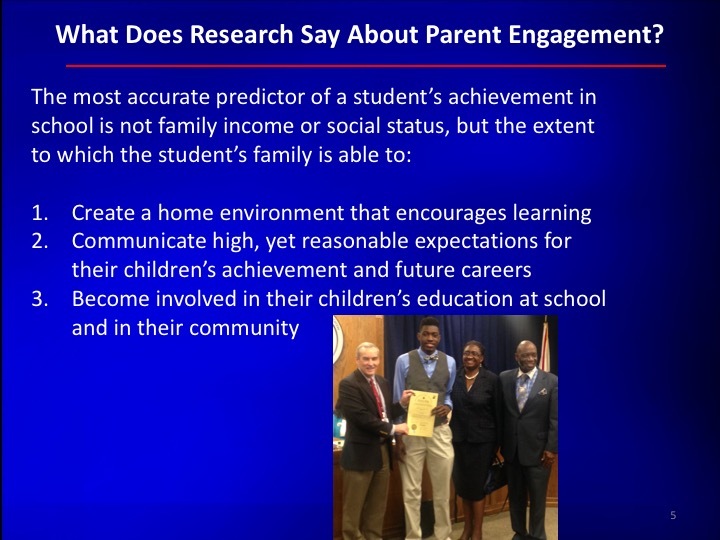 As I have been accused of misrepresenting what Mr. Taylor and Mr. Boyett had to say on Thursday night, here are links to the presentation that I’ve uploaded to YouTube. The total time for the presentation is about 20 minutes, and I’ve uploaded it in the two parts below. If you prefer to read a transcript of the presentation, you may find that below at the bottom of the post. I have added emphasis to a couple of key quotes that I believe deserve special attention. First, the district, in March, began developing a way to “channel all inflows of alternative financial resources” through one centralized site. This seems to cover nearly every form of donation that a parent might make to a program, school, or directly to the district. Third, the purpose of this enhanced district accountability is to ensure “equitable giving” across all schools in the district in compliance with the joint consent order. Fourth, while the district will still accept donations from people via a check, the district will enter these checks into the OmniFund system that they have developed, so that all donations will be tracked and accountable using one centralized database. Since our board members only concern themselves with making sure that The Driscoll Group gets well paid and filling copyright registrations, lets see if we can perhaps raise a few questions that they deemed unnecessary to ask during their scholarly tax law seminar. Simply put, it doesn’t seem likely. Even if someone wrote a check or handed cash over for a project of their choosing, the district would still funnel these funds into the OmniFund site. It may very well be that fundraising specifically for the PTA will not and will never be handled via the OmniFund site. But that does not mean that the items that the PTAs typical fundraise for won’t be. Even Ms. Kvach points out that if the PTA budgets $3,000 for AR, that those funds could no longer be in PTA budgets. Other than membership dues, I suspect that teachers who have made requests of the PTA in the past for funding would now be highly encouraged to make those requests via the official channels of the OmniFund initiative. Thus, my statement at the end of the meeting that the board didn’t answer the question if the PTA can still fundraise without using OmniFund remains, in my mind, unanswered. If this website “will be used to solicit monetary donations for all school related needs ranging anywhere from classroom supplies to school programs” as Dr. Edwards stated in her promotional video, then what’s left for the PTA to raise funds for other than specific PTA activities such as the Reflections program, perhaps? A second unanswered question would be, will other organizations like boosters or, as Ms. McCaulley stated, “auxiliaries and groups” be allowed to fundraise on their own? Ms. McCaulley implied that any group using GoFundMe (or similar site) to raise funds right now should move over to OmniFund. And if other “auxiliaries and groups” will be at least encouraged to use OmniFund for fundraising, why wouldn’t the PTA be similarly encouraged? By the way, this fee is usually eaten by the merchant/nonprofit rather than deducted from the donation. So why is the district charging nearly three times that amount in admin fees to administer a site that is already being paid for via local and state taxes? See, most of our programs are extremely tight on funds. Taking 7.5% off the top for “district administration” is, frankly, robbing from our children. The district didn’t take 7.5% from our donations in the past, so why are they doing it now? How 7.5% Admin Fee May Be Used? I do, however, have a theory for why this admin fee is more than three times higher than PayPal’s fees. monitor all donations and where they’re going. So it gives us another tool to more easily comply with the consent order. And so from there, you can go in and see what donations are being given to what schools therefore being able to make sure that that’s equitable throughout the district. Does the idea of providing a leveling of services, ensuring equity, sound familiar? Well, to you my constant reader, it should. This is exactly what Wardynski and the board were attempting to do at the beginning of the school year when they attempted to require PTAs to submit their financial records to the district’s CSFO Mr. Jason Taylor at the beginning of the school year. I wrote about it four times in August; you may find those articles here, here, here, and here. If OmniFund has been in development since March 2015 as Mr. Taylor claims, perhaps this would go a long way towards explaining their “need” to review PTA financials? In case you couldn’t tell from other posts here or on other sites, I am actually a liberal living in the south. In many ways, I’m probably to the left of nearly everyone you know. I believe, completely, in working together for common goals. And I believe in the concept of equity. However, if I am making a donation of my funds to a program in my child’s school, the district has no right to take 7.5% of that donation and move it to another school. While I do not know for certain if that is what will happen to the 7.5% administration fee that they will assess, I do know that they are planning to assess that 7.5% administration fee on every donation made to any school in the district either via the OmniFund online system or via checks hand delivered to the schools by individuals. The district believes that they know better than you do how you should donate your money. Rather than increase donations as the board was crowing about at the last meeting, this will, instead, kill them. I’m sorry, but this is stupid. Here’s the transcript from Thursday night’s meeting. The emphasis added is my own. McCaulley: So next item, “Gifts to schools.” Mr. Taylor. Taylor: So Jacob Boyett is going to take this, but I’ll lead off for him. In March of this year, uh, we began developing a web site for the solicitation and procurement of gifts and grants to, uh, Huntsville City Schools. Intended purpose was to channel all inflows of alternative financial resources, or those resources that are not otherwise forwarded to the district through local, and state, and federal taxing authorities. All gifts and grants, right? Um. Uh, through a single point of access in order to make donating to the district easier for, uh, potential contributors, and to provide the district, provide the district advocacy and support for local school fundraising efforts through outreach and networking with district partners. Uh, we also aim to enhance district accountability over all inflows of financial resources to ensure compliance with the uh, with the joint consent order. Uh, tonight, Mr. Boyett is going to present to you the district’s new OmniFund website which will become live at the conclusion of tonight’s meeting. Unless there is some hesitation. Boyett: So as Mr. Taylor mentioned, there’s two main points of the OmniFund website, OmniFund initiative. First of all, I’ll give you the web address, it’s supportmyhcs.com that’s how it can be accessed. The first main point we’re trying do here is give teachers and staff another tool to more readily advertise their programs. Tonight we talked about GreenPower and Project Lead the Way. Our, our goal is to give them another tool were they can fundraise for their programs. Where if Project Lead the Way wants to travel to, to new competitions or same thing for GreenPower, if there’s a competition in Utah, competition in California, we want to give you a portal to go in and advertise what you’re trying to do that way you can raise funds more readily, and easily, it’s streamlined through our website.
. . . done is each principal, school staff, whoever it may be can actually create an account on our website. So what they’ll do is they’ll come in here and they will create a program. Well the program does not actually automatically go on the website. It has to go through a two step process. After the teacher, or whoever the staff member is in the school, submits the program, it will then be sent to a principal. The principal on the same website can go in, look at the details of what they’ve submitted and either approve or deny it. So after the principal’s approved it, it will go on to a district member here [this person is unnamed], who will then see the same program, those details, and they have the chance to either approve/deny that program as well. After that program has gone through both of those steps, then it is available, available to be advertised on our website. So as you can see here, here in our scrolling banner up top, we already have several programs that have been pre-populated by our principals throughout the district. Taylor: The approval and denial process is, is more of an approval process than a denial process, but it’s, but it’s geared toward keeping principals aware, on making principals aware of everything that is going on in their school. And then, the the second step is making sure that the central office is aware of all solicitations of financial resources, and the intended use of those resources. Uh, that’s something that we need to maintain some visibility into it. It’s not a big brother measure; it’s an accountability measure. And it’s, uh, relatively quick process, uh, the back end of this website Jacobs formulated, uh, makes the approval, the review and approval process, very quick. So, two step process, it may sound like a lot of red tape, it should move very, very easily through the process once we find a rhythm. McCaulley: And I think more people will be more comfortable with going through our website than GoFundMe, that several of our auxiliaries and groups have out there. And it gives you, us, accountability as well, so when someone calls you say, “I didn’t know that you needed funds X,Y, and Z,” we’re able to track it down. Boyett: And Ms. McCaulley, you’ve got a good point there. The main one that’s most visible is GoFundMe, but you see several websites like that popping up like that now. And so, our main goal here was to centralize that. We’ve got a central location where we’re trying to aim all our teachers and staff to list their programs here. So if you’ve got an outside donor who’s looking to donate to Huntsville City Schools, but isn’t quite sure what they want to donate to, this gives them that avenue for use to advertise that program to see what we’re trying to raise funds for. So now that you’ve got your program on our website, the next question, obviously, is how do I donate? How do I make a donation? Well what you can do here is we actually have several avenues. First of all, if you’re not looking for a specific program, you can make a district wide donation. Secondly, if you’re looking to narrow it down a little more, if you’re partial to a particular school, you can go in and make a particular, donate to a particular school. Thirdly here, and last, if you want to donate to a specific program, like we’re advertising above, you can actually go in and choose your specific school, and choose your specific program. Okay, like I mentioned before though, we’re trying to advertise these programs and if I have an outside donor who’s not necessarily sure who, or I should say who, what program they want to donate to, you can actually come up top here on our Browse Programs. It will list all our programs, and the details of those programs. Once again, if you’re partial to a particular school, you simply come up top, hit our drop down and it will show you programs for that particular school. So you’ve found your program, and now you’re ready to donate. So you simply hit our donation page here, and it’ll take you, it’ll walk you through filling out the donation form, along with having the details to the program of your choice on the right hand side. All our donations are run through PayPal. Once again, it’s the most visible, it’s the most secure. People are familiar and comfortable with PayPal, so it works well there. Going back to what Mr. Taylor said earlier, the second level of support, really, on an administration level from the district is, with using this tool we can monitor all donations and where they’re going. So it gives us another tool to more easily comply with the consent order. And so from there, you can go in and see what donations are being given to what schools therefore being able to make sure that that’s equitable throughout the district. Taylor: I think too, on this page Jacob, we’re going to add, we’re going to add next to the fundraising goal, we’re going to add functionality to show Fundraise To Date, so you’ll see a progress report there, a percentage progress report towards your goal. And then, uh, as he scrolls down too, I’m sure he’s gonna mention this, the uh, the uh, the requestor has the ability to upload pictures as support. And those pictures can stream and scroll. Boyett: And that’s one thing that we the control up here. The main page you saw here. These programs scrolling up top. We’ll have the ability to control what programs are advert, advertised there. One thing as we talk about donations, you see where you can go through our regular website, but if you’re at a school PTA event, and we talk about a particular program that night, if that particular program’s leader’s is there and passing out pamphlets. I don’t know if you’re familiar with QR codes. QR codes are a really easy link that anybody with a smart phone can take out and scan. What that’ll allow you to do is go to our mobile site. McCaulley: Why the wife, how come the wife got to be cooking? Boyett: See you come here, and you can click, Remind Me Later, cause you don’t have time to donate at that time. So you come here. So it’s going to ask you for your email address, so you can select it to remind me in how many ever days. Because what’s that’s going to do, if you’re at a PTA event on a Friday night, that’s going to allow you to set that for two days, three days how ever many. So you can be reminded once you get back to work, once you’re in front of a computer to make that donation. Now, if you’re ready to make that donation, you can just hit Donate Now, and simply walk through all the same steps it will walk you through before, simply on a mobile site where you can do it on your phone. And that concludes my presentation. Taylor: Jacob, we’ve got, uh some front end work . . .
Taylor: So the donations will be tax deductible 100%. There is an administrative fee of 7.5% that the district will maintain. It will also be tax deductible. It will be used for district administration of this site and of other programs. Wardynski: [Speaking over Taylor’s comment about the administrative fee] How’s the individual get their tax deductibility, um? Taylor: They will receive an automated, and automatic notification through not only this site, but a confirmation through their PayPal. Ferrell: And right away they will receive something? Boyett: Yes ma’am. You’ll receive two different emails. One from our site as well, with your receipt from us, thanking you for your donation. And also a second one that will be automated through PayPal with the specifics of your transaction ID and that sort for your tax preparer. Taylor: Jacob, I think you met with one of our principals, uh, uh, that I recall to uh, put together a help function on the front end, so users can . . .
Boyett: Right. So what we have here is our help page. There are videos on each different step of what we’re looking at here, but what I’ll play for you here is an introduction from Ms. Edwards over at Hampton Cove Middle. Ferrell: So is this replacing a portion of volunteer spot website and also has donation? Boyett: I think that this goes back to what we were trying to talk about before, we’re just trying to centralized those efforts. Wardynski: So, the virtual volunteer website continues, and it will be more oriented on non-monetary gifts. Gifts in kind, or gifts of service. Whereas if this one is somebody just wants to make a cash donation. This is the easiest way to do that. Ferrell: And uh, this is, we have OmniLynx and now we have OmniFund, is there a reason for the “Omni”? Taylor: You had an accountant and an engineer doing the marketing. [Laughter] So we have more of the same. Wilder: You didn’t meet with Rena? McGinnis: How do you? Let’s go into that. I think this leads into it. McGinnis: He’s hilarious, isn’t he? Ok. How do you plan to get out to the public and market this? [McGinnis is once again primarily interested in marketing.] And let people know? Boyett: I think one of the easiest ways, is like I said before, the PTA events. As you can simply have somebody sitting there passing out a business card of your particular program with that QR code on the back. So they don’t necessarily have to do it when they get home. They’re cleaning out their pockets. And there you are, the QR code, Okay, what was this for? You scan it, and it pulls up our website with that particular program. So it’s not necessarily active marketing, but you’re out there as a reminder of what we have to offer. Wardynski: So, it will be up on the billboards. It’ll be on ETV. We can probably push these things to ETV as well and show the programs and the link back to Omni . . .
McGinnis: OmniFund doesn’t have their own marketing program to the general public? Right? Boyett: I’m sure that’s something we’ll be developing. Wardynski: That’s the billboards, and the various other communication means that the district has. Social media. Boyett: For the initial programs we populated with, we sent out a feeler to most, all of our principals, to submit programs. In the next few days, what we’ll be doing is sending out an email to all of our staff, letting them know that this is available to begin taking those submissions for programs. Taylor: We sent out an initial “ask,” um to some of the principals, elementary and secondary DOIs did, just to get real content for tonight’s, uh, demo, and we had 14 responses, responses, in a week? Wardynski: We can also email all the teachers a video link, and they can get a quick video introduction to what this can do for them. Taylor: Jacob and Sasha Correll built this website. Did a fantastic job. Ferrell: Our OmniLynx program, we are patenting that . . .
Taylor: If it is, if it is able to be . . .
Taylor: If it’s, it’s, what’s the word, novel? And they’ve already got multiple sites that do this. Um, but if there’s some element of novelty that is patentable, then we’ll look into that. McCaulley: Any other questions board members? Audience? Wilder: Is this available immediately? Jason, is this available immediately? McCaulley: Yeah, tomorrow. After we get finished. Wardynski: It’s actually running on my computer here, right now. You can all log in and begin donating. Reed: Question, Does this gentleman work for the city schools or is he a contractor y’all are setting up? Reed: Why would you allow the principals in the schools to start soliciting for money for the schools? Wardynski: We’ve been doing that forever. Reed: And he works for who? What school? McCaulley: The school system. Not particular school. Taylor: Jacob’s a program manager employed by the district, and he works with me, for me on GreenPower and OmniLynx, and OmniFund all kinds of other. Reed: If I’ve got financial problems, I can come and ask you? I haven’t gotten any answers yet. Reed: Well, I just like to know, and pray that everybody can keep up with donations as it comes in because . . . I’m not saying that there’s not a lot of fault, a lot of everything that’s going on in this city. Wardynski: [Speaking over her] This . . . Your question, I think the question was, is this an improvement? Wardynski: Uh, so, every evening, we do gifts to schools. Wardynski: I read them off of here. Wardynski: They begin with a four part form that’s about 90 million years old. That’s got triplicates and quadruplicates and it’s a paper trail. This is all digital. The minute somebody’s money comes in, the district has accountability of it. It’s no longer the school having to handle money. Money going to school, it goes directly into an account where the school can access it again dispersing it again to their programs. [Less 7.5%] So in terms of efficiency, this is far more efficient, far less prone to anything that can go wrong with money, there’s always something that can go wrong with money, um and much less overhead to administer. Reed: I’m not convinced; maybe y’all are. McCaulley: I think the other lady had a question? Excuse me I need to you come to the mic please. McCaulley: Thank you very much. Any further question, if not Jake, uh, sorry. Wilder: If someone wants to donate to one of the athletic teams, um, directly at a specific school, there is a mechanism for them to do that through OmniFund, currently? Taylor: As of this moment, there’s not. But ideally they would advertise any need through OmniFund. That need, that general solicitation would be out there. Wilder: I’m thinking of an unsolicited, just I wanna give to this club, or this . . .
Taylor: Sure, there’s a, there’s a way to do that, and Jacob can speak to it better than I can, there’s a way through the site to not specify a program, specify just a school, and then you can hand type in, designate your own program. McGinnis: But, let me, let me follow up. This, a parent could, if they want to give to the wrestling team at Huntsville High, they could set up an account, or the principal could, and then, uh, go through the two step process, it’s set right? Ferrell: But in order to receive a tax receipt it has to be a donation and not your fees. Like band has a fee. Ah, you can’t make a donation through that and get a tax receipt. McCaulley: I know some of us thinking about that. McGinnis: I thought you could get a tax deduction? McCaulley, Ferrell, and Taylor respond: Not if you’re receiving goods and services. Taylor: If you’re receiving a valuable consideration, it’s an exchange, uh, it’s a purchase, essentially. It’s not a gift. For the gift, for a, for a solicitation of a charitable contribution, then it is 100% tax deductible. McGinnis: Okay, but not to the wrestling team at Huntsville High. McCaulley: I think what Lisa [Elise Ferrell] was saying is that like Wrestling team has a $200.00 fee to wrestle. They can’t go on in and donate $200.00 for they kid’s fee. Ferrell: And say this is specifically for John Doe because that’s goods and services and the IRS will nail you for that. Taylor: If that covers your uniform or shoes or anything like that. Ferrell: But if they wrote the $200.00 check to the wrestling team, but then went on and donated $500.00, they would get a deduction for that of $500.00. McGinnis: Right. If they donated $200.00, and didn’t specify and they decided to buy something with it . . .
Taylor: If it was at the wrestling coach’s discretion, upon approval by the principal, and depending on the dollar amount approval by the district finance office, then it would still be tax deductible to the donor. McGinnis: You see what I’m saying? Taylor: If the site does well enough, they shouldn’t have to raise additional fees. McCaulley: Uh, any other questions? Then thank you, are you through Jason? I don’t want to uh, Double J. Okay. I have a question. I am not folllowing the 7.5.% administration fee.Who gets the fee and why 7.5? They didn’t say. OmniFund is a HCS owned program. It was developed by HCS employees to streamline donations to HCS. All that the said was, donations to HCS via OmniFund will incur a 7.5% Admin Fee. Because of this mess and the people behind it, my decision is to donate “zero.” So tired of the gimme, gimme, and gimme more attitude of this school system. I send my kids to school with a good attitude and a brain eager to learn. Give them a book, teach them a lesson, and answer whatever questions they have. They will learn, thrive, and move on out into the world more ready than the “harvested” kids we’re pushing through the system now. Sorry, just fed up with it all. “But then, expecting our district employees to offer research based presentations, or that the board of education would expect such, is just asking too much.” But then expecting the mainstream media to research the districts presentations for accuracy is just asking too much too. Thank you for having the courage to be the media we wish we had instead of the media we have. If we want the media to cover his differently, then we need to let them know that we are unhappy. A comment I received back fom a reporter is that our silence implies consent. Anyone who donates thru omnifund is a damn fool. I just went out to charity watch, because I wanted to get an idea of what ok admin costs are. A+ charities spend 90 to 100% of funds raised on programs, and the cost of raising $100 is less than $4 dollars. Here we have a system developed by school employees, who’s salaries are already funded, and the district wants to skim 7.5% off the top. Donors are getting ripped off. Where have I heard the words “spreading the wealth” before? I’d be not as worried about the 7.5% as I would the whole account. What happens when school “a” has more in donations than school “b”? Will one be robbed and given to another?? 1. Is the “Joint Consent Order” published and available for public viewing. Whenever I hear that a policy is required by some law or regulation, I like to reference the specific primafacie requirement document. 2. What financial data was used to establish the 7.5% administrative fee? If the actual administrative costs are a fixed amount, then as the donations predictably decrease, the administrative fees must increase to compensate for the donation reductions. In other words, what are the fixed administrative costs and the anticipated donations that would justify a 7.5% admin fee? Many times, admin costs (and therefor admin fees) are not linear functions … it may cost as much to process a $5 donation as it does a $500 donation. 3. Fundamental to this discussion, is the answer to the “big question” … how does tracking donations ensure “equitable distribution” of donations? If I want to contribute x dollars to the Band of school A, will the district use my donation to support athletics at school B? If so … donations are dead … and 7.5% of zero is zero. The Joint Consent Order can be downloaded from the HCS website. Here’s a link to the download site. Your question concerning what financial data was used is an excellent one. The district hasn’t said. When WAFF interviewed Mr. Boyett on Monday, October 19, 2015, he claimed that the 7.5% would be used to cover: 1. PayPal fees, 2. Credit Card fees, and 3. Administrative costs. He said this with a straight face as if the PayPal and Credit Card fees were separate fees. They aren’t. Here’s a link to the interview. The interview also claimed that all of the crowdfunding sites like GoFundMe were charging more than HCS. This is true, but all the crowdfunding sites are private companies. GoFundMe for example charges 2.9% to cover credit charges, +0.30 per activity, and $5.00 for GoFundMe. Thus if you subtract the PayPal fees (2.2%), the district is then pocketing 5.3% from every transaction. I believe that part of the answer to that is the 5.3%. I think that’s the primary purpose of the 5.3% admin fee (minus the 2.2% paypal fee). Now, 5% isn’t enough to ensure equitable funding alone. And the district hasn’t discussed what else they have in mind for that. Finally, the WAFF story claimed at the end that if you wish to avoid the 7.5% admin fee, all that would be required is that a parent write the school or district a check. Nick Lough stated that doing so would avoid the 7.5% admin fee. I’ve written Mr. Lough to ask if he verified this as the district specifically claimed that ALL donations, in including checks, would be entered into the OmniFund system. The implication was that the system would deduct the 7.5%. After all, only 2.2% of a donation made via a credit card via PayPal would be exempt from the 7.5% admin fee. Mr. Lough has not responded to my request for confirmation that what he reported at the end of the story was accurate in light of the claim that the district would manually enter checks received. I, therefore, remain convinced that the district will be deducting 7.5% from every donation made to the system regardless of the method used by the donor: credit or check. I went to the HCS website and downloaded the 92 page Joint Consent Order PDF file (and the seven Exhibits which are attachments). I then used the “FIND” tool to look for certain words and phrases such as: “donations”, “gifts”, “financial”, “resource”, “budget”, “funding”, “parents”, “PTA”, and “community based”. These words were mentioned numerous times in the document, but I could not find a single reference that applied to donations or gifts from individuals, or organizations. Admittedly, I have not read the entire document word-for-word … yet. I would be grateful if you could point out a specific page or section. I am beginning to think that the “Omni-Fund” has no basis in the JCO. Thank you for your best advice. Perhaps I need to clarify that it wasn’t my intention to claim that the consent order required that the district ensure equitable funding of donations to schools. That was the district’s claim. The district regularly claims that the new steps they are implementing are being done because of the consent order. Usually, this is not based on a reading of the order. I suppose it’s possible that there have been agreements and negotiations that haven’t been made public yet, but I find it more likely that the district is happy to blame the consent order for their actions whenever they can. Wardynski has often and regularly shirked responsibility. The consent order is just his latest scapegoat.